I've got no good reason as to why I did this other than to find out what would happen. 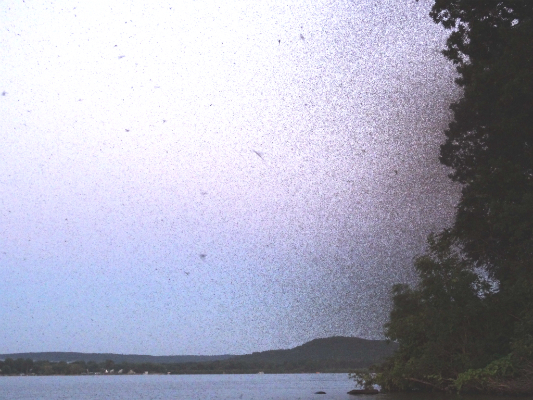 This was on lake Wisconsin over the summer. Biggest mayfly hatch I've ever seen. Bring on that ice already !!!! The real question is...why not? I was half expecting a snake to fall out of the tree in addition to all of the mayflies! I have this feeling you and I would have had a good time as kids hanging out, playing with bugs, and building bonfires in the woods. That cracked me up, great way to start the day. 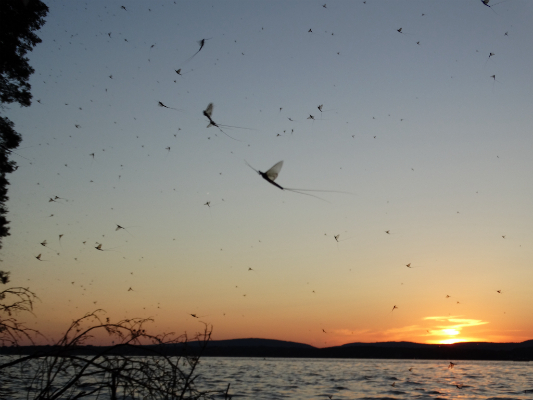 Mayflies will rule the world ........ when we're all gone! Last edited by Johnny Finn on 04:41pm - Dec 12,15, edited 1 time in total. Keep 'em comin' Fletch! Like Tiny said, reminds me of growing up stomping around in the creek and quarries near my home...building forts, fires, rafts, and catching all kinds of critters! You have an eye for the gifts of nature. Chitown-Angler was started on February 10, 2003 and has received 207589029 page views in total since that date.